Ready for a Chex Mix that will knock your socks off? I have a soft spot for Chex Mix at Christmas. It is just the perfect munching snack while I am baking all the other goodies. I mean, I love the stuff. Really love it. I have been making this for seven or eight years and have given out the recipe so many times. Nobody can quite put their finger on what makes it buttery...here's the secret...are you ready for it? Popcorn butter oil! You know, the yellow stuff that makes your home-popped popcorn taste like movie theater popcorn? I have only found it made by Orville Redenbocher's, but perhaps others make it also? I use a variety of snack crackers in mine. I like rice or corn Chex, pretzels, mixed nuts, oyster crackers, Cheez-Its and any other small type of cracker. Try it. You will not regret it. In a small bowl whisk in the Ranch mix and the oil together. 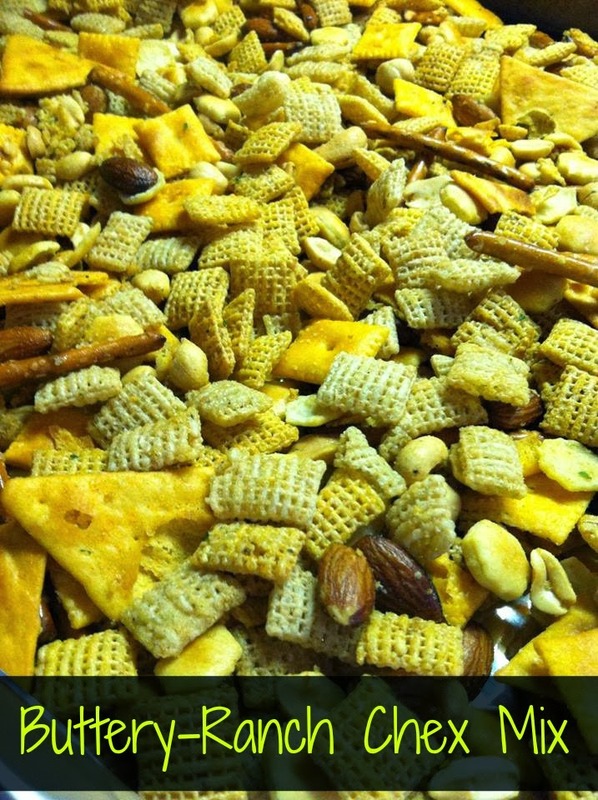 Pour the cereal, crackers, pretzels, etc into a large roasting pan or baking pan. Drizzle the oil/ranch mix over the food. Stir with a large wooden spoon. Cook in the oven for 1 hour, stirring every 15 minutes. Turn out onto foil-lined counter top to cool.